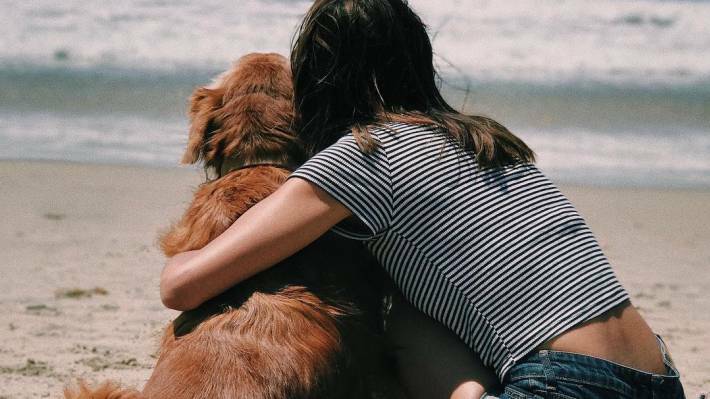 Voted as one of California’s dog-friendliest cities, Surf City USA welcomes four-legged kids with open arms at restaurants, parks, and hotels, along its paved beach path, and even dedicates a stretch of beach to salty pups. We don’t want you to leave your best friend at home any more than you do, so here’s a helpful guide to exploring town with your canine companion in tow. First stop, Huntington Dog Beach! 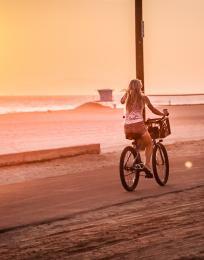 This 1.5-mile pooch paradise along Huntington City Beach spans between Seapoint and Goldenwest streets. Dogs are free to run, play, swim, and even surf. Second stop, Central Park Dog Park! 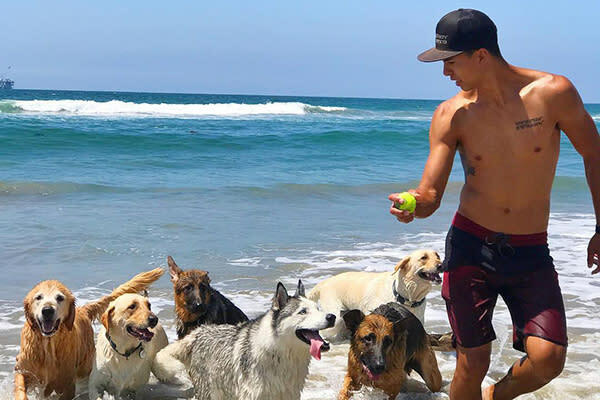 With separate dog runs for large and small pups, the fenced-in space on the edge of Huntington Beach Central Park at Edwards Street and Talbert Avenue offers something for every wagging tail. 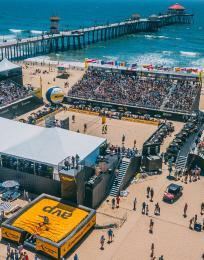 Each year, Surf City Surf Dog sees dozens of furry shredders take to the waters of Huntington Beach in this “pawsome” three-day event that culminates in an epic surf competition. Enter your salty dog, or join the event as spectators and event-goers to experience this collective love for the water. This year, the doggone fun kicks off on Friday, September 22, with a Pooch Party, followed by the competition on Saturday, and wraps with two NY Dog Film Festival screenings on Sunday. Pawabunga! 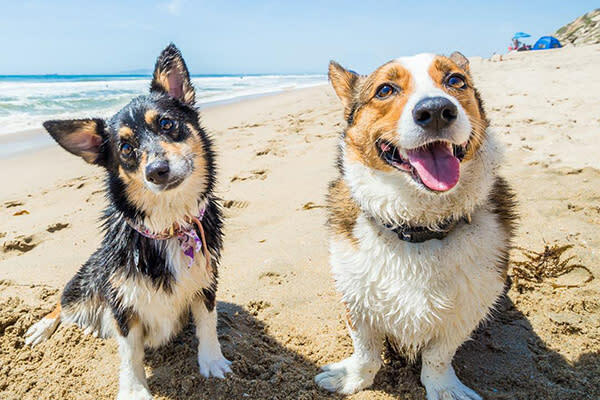 Every spring and fall, So Cal Corgi Beach Day, aka “the biggest corgi pawty on the planet,” convenes at Huntington Dog Beach, courtesy of So Cal Corgi Nation. This fall, witness the magic of hundreds of corgis descending upon one beach on Saturday, October 28, from 10 a.m.-3 p.m.
Once a month and every Sunday during Oktoberfest from 3-4 p.m., Old World hosts Running of the Wieners, aka 22-yard Dachshund races, at its beer garden. Enter your wiener to race if you’re feeling lucky! Oktoberfest 2017 races begin on September 10 and run through October 29. 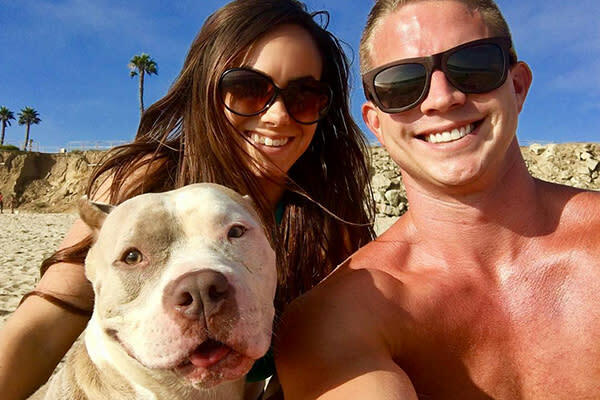 Conveniently located about one mile from Huntington Dog Beach at 11th Street and Orange Avenue, Sit Stay Cafe serves up coffee and sandwiches for humans, and complimentary water and snacks for pups. 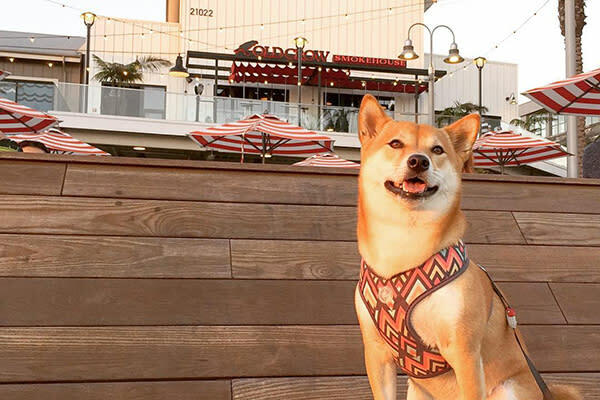 Perched at the corner of Main Street and Pacific Coast Highway, Fred&apos;s Mexican Cafe hosts “Doggie Date Night” every Monday from 4 p.m.-midnight on the patio—which boasts a stunning view of the Huntington Beach Pier and Pacific Ocean. 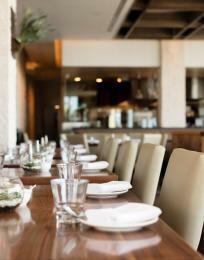 With your purchase of an entree, your pup scores a generous bowl of kibble. A quick stroll up Main Street delivers you to Pizza Lounge, lauded for its artisan pizzas, craft beer selection, and dog-friendly front patio. Inside Kimpton Shorebreak Hotel, newly minted Pacific Hideaway features a dog-friendly ocean-view patio and an impressive trio of housemade dog dishes: beef, chicken, and fish. Nestled inside Huntington Beach Central Park along Goldenwest Street, Park Bench Cafe not only plates outstanding treats for humans, but also a full “Canine Cuisine” menu. Order the Wrangler Roundup (lean ground turkey) and a Peanut Butter Bone, and watch that tail wag. Dogs go wild for the personalized pastries and toys at Top Dog Barkery, Pacific City’s resident “dog house.” The pup boutique also offers hosted birthday “pawties,” themed events, grooming services, and doggy daycare while you shop and dine. 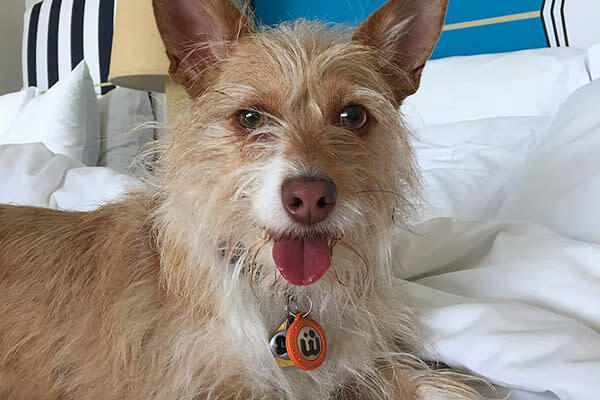 Kimpton Shorebreak Hotel promises: “If your pet fits through the door, we’ll welcome them in.” Outstanding amenities include treats, plush pet beds, water bowls, cleanup bags, a dog-friendly restaurant and menu, and a nightly wine reception—all at no extra cost. The “Wag It At The Waterfront” program at Waterfront Beach Resort, A Hilton Hotel, provides care packages, “Doggie Reader Board” recognition, pet beds, feeding bowls, treats, cleanup bags, petsitting services, and even a pet room service menu for a fee. 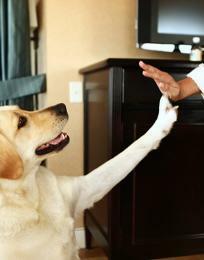 Pups are loved at Paséa Hotel & Spa, Huntington Beach’s newest oceanfront resort. Amenities feature treats, beds, and feeding bowls for a fee, plus free cleanup bags. Look for Lago, their French Bulldog Pet Concierge. Dogs weighing 50 pounds or less are welcome in designated pet-friendly rooms for a fee at the Hyatt Regency Resort & Spa. Amenities include food and water bowls, a pet pillow, and dog treats available for purchase.